Are you tired of rushing home after a day at the range to clean corrosive salts out of your Mosin Nagant? 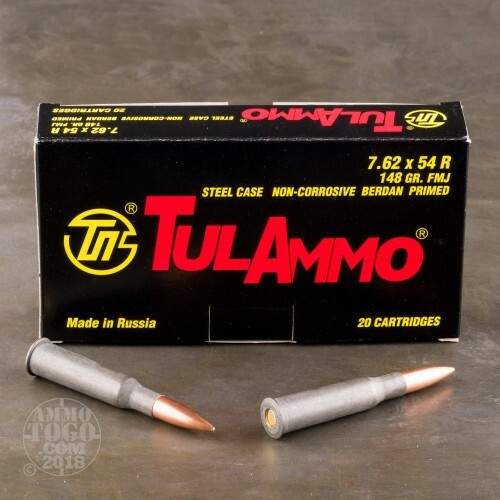 If so, you should consider switching to a cheap, non-corrosive ammo, like these rounds from Tula. 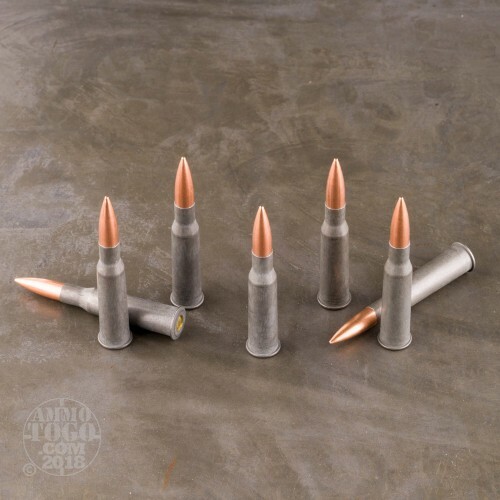 This 7.62x54R ammo has a 148 grain full metal jacket bullet which fires and functions just as well as that corrosive surplus ammo you might be used to. Each round is loaded with non-corrosive powder, a non-corrosive Berdan primer, and has a polymer coated steel case. The polymer coating on the case helps with smooth feeding and extraction, and also keeps the steel case from rusting or corroding from exposure to outside elements. 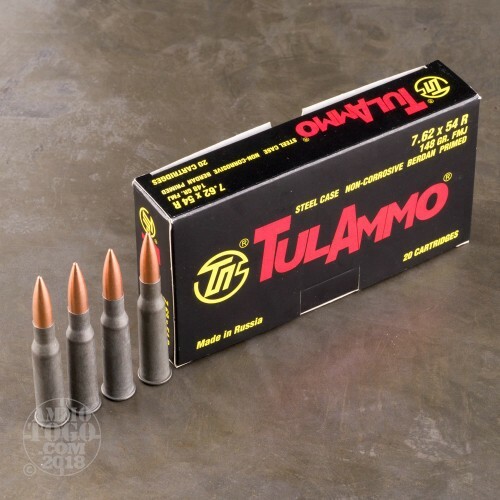 This ammo is the perfect thing to replace that old corrosive surplus ammo in your gun safe. 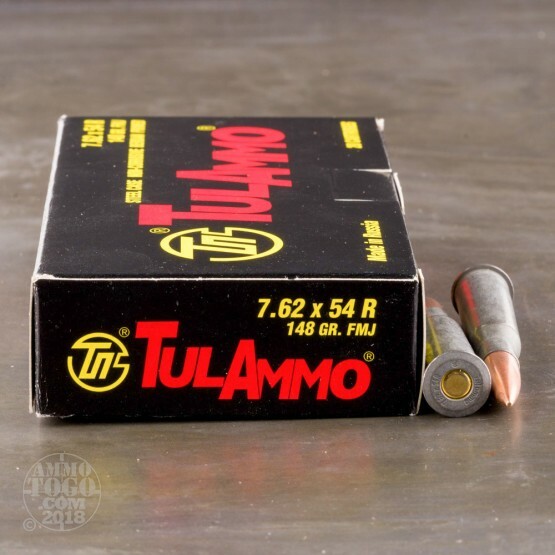 Order your ammo today, and you won't want to change back.